This time of year my inbox gets flooded with “gift guides” from various retailers and manufacturers that I follow. Part of me winces at the commercialism that overruns this time of year but I also recognize that over the next month we really do spend the most money on “stuff”. So I am going to share some ideas with my readers who might be looking for that unique gift for the guy or gal in there life that is into the same type of stuff I’m into. So with that disclaimer here is yet another gift guide to hit your inbox, but know that each suggestion is truly a hand picked thought. Maybe you’ll find something you didn’t know you are looking for. I’m going to start with some local artists who make hand crafted art with a strong mountain vibe and sense of community because they have a strong mountain vibe and sense of community! Seriously these two friends live enriched lives out of their Tacoma’s and converted vans while building their brands and chasing adventures all over the country. You can support them while giving something that is truly hand-made and inspired. Check out Brittni’s line of drink sweaters, hand poured candles, and stylish Trucker hats here! What can I say about my friend Erik, aka @smellybagofdirt? I met him last winter after noticing his somewhat noticeable van all over the valley (or indisposed) then got to know him as an avalanche course student and soon to be bunk-mate and ski partner in Iceland… Talk to him for 10 minutes and you’ll see he’s on his way to making his mark in the world. He just launched his website and is offering some original stickers, posters, and t-shirts. If you have an adrenaline junkie in on your holiday shopping list you’ll find a unique gift from Erik for sure! Anyone who plays in the mountains, and I mean anyone, should take a basic Wilderness First Aid Course. It’s a 16 hour commitment. It could save you or your partners lives. The courses are offered all over the country. There is absolutely no reason not to have a basic first aid course under your belt if you want to play in the mountains. Yet we resist signing up for one. Make it easy for your loved ones by signing them up and paying for it! 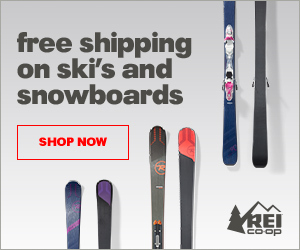 This is for the loved ones who like to play on steep snowy slopes! Everyone who knows me knows avalanche education is a huge part of my life. My first brush with this hazard was a life changing event and I can’t advocate enough for getting this education before you wished you had it! If you have someone in your life who has back-country skiing, ice climbing, or winter mountaineering on their short list of things to do help prep them for success by signing them up for an avalanche course! This socially responsible company makes the coolest water bottles and tumblers out there! Super high quality stainless steel technology keeps cold drinks cold for 24 hours and hot drinks hot for 6 hours! Customization and tons of color and style options means there is a Hydro Flask out there for just about everyone! Check out their Holiday Gift guide here. I’m pretty sure the 10 seconds of silence from my girlfriend after asking her to marry me was enough time for her to accept that she loved a man with some seriously stinky feet. Luckily she said yes and I would soon find this foot powder, seriously the only product that works on my feet! 7 years later she is quick to remind me if she notices my supply running low. This one is a PERFECT stocking stuffer, pick it up on Amazon here. Possibly the best socks I’ve ever owned and made right over the border in Vermont! For mountaineering and ice climbing check out this model! These socks come with an unconditional lifetime guarantee and make an excellent stocking stuffer! Every home in the Northeast should have one of these! It’s effective enough that I can easily dry my boots and gloves along with my wife’s in just a couple hours. No balancing them over the floor base heaters or getting them too hot near the wood-stove and risking early de-lamination! You can pick on up on Amazon here. The Petzl Nao+ is the best headlamp for anyone who gets after dawn patrol or squeezes in late night pitches after work. I admittedly don’t own one yet but it is high on my wish list! While I do love these online deals I want to take up this space by encouraging you support local businesses, especially small specialty climbing shops, with your business! To that end if you can physically visit these stores please do! If you are going to shop online at any of the below retailers this holiday season (or anytime) please consider doing so through this web page (book mark it if you like!). Making a purchase through one of the below links sends this blog a small percentage of the purchase at no additional cost to you! You can also donate directly via PayPal if you like! 100% of donations go directly to supporting the content created on Northeast Alpine Start. The Black Diamond Vapor Helmet is the lightest and most breathable helmet in Black Diamond’s line and is only an ounce heavier than the Petzl Sirocco that I reviewed here. A sheet of Kevlar and a series of carbon rods in between co-molded EPS foam provides the bulk of impact protection along with a thin but full polycarbonate shell. I’ve been testing this helmet out while climbing and guiding for the last three months and I’m ready to share my opinions on it! As normal I’ll start with the most noticeable features and work towards the minutiae. Black Diamond lists the weight of the M/L size at 199 grams, or 7 ounces. My home scale measured 206 grams, or 7 3/8 ounces. For comparison my size 2 Sirocco weighed in on the same scale at 174 grams, or 6 1/8 ounces. While the listed weight seemed a slight bit low it truly weighs only an ounce more than the bar-setting Petzl Sirocco. This ultra-light weight is a boon for long approaches and descents and increases long-term comfort. You truly can forget you have your helmet on when wearing lids like this! Twenty one geometric and well placed holes offer excellent airflow through the helmet making this one of the best hot weather options out there. Furthermore I tested the “Blizzard” color which is basically white and reflective and I found the helmet to be as cool as is possible even on sweltering August days. The M/L size is listed to fit a head circumference of 58-63 cm (23-25 in). My head measures about 60 cm (23.5 inches). That said I found the helmet to run a little small. It fit my shaved head well but was almost maxed out (I do have a large head). I have just enough room for a thin hat liner for cold weather climbing. Removable and breathable helmet pads are soft on the skin and can be removed for washing. The Y-harness strap is not adjustable but fell perfectly around my ears. The feather like weight and high degree of breath-ability really do make this one of the most comfortable helmets I have ever tested. Other than the weight and breath-ability the only other feature to talk about is the headlamp clips, which oddly are removable. Black Diamond suggests that removing them may make the helmet less likely to get snagged on slings, etc. but I’d suggest just leaving them on. They didn’t get caught on anything while I was testing. The helmet also has a nice low profile while providing great coverage on the back and sides. It’s hard to accurately rate long term durability after just three months. I have friends who have climbed regularly in theirs for over a year. The thin polycarbonate shell does not resist small dents and dings with regular use. Black Diamond advises against packing this helmet inside your pack. I packed mine in the top of my pack like I usually do if I don’t have a full load and had no issues (but I remember it is in there and don’t sit on my pack when it is in there). If you strap it on the outside of your pack I would suggest you don’t just drop your pack on the ground when you reach the crag. I wouldn’t say you need to “baby” this helmet but if you want something that can take more abuse check out the Black Diamond Half Dome or Petzl Boreo that I reviewed here. This is a specialist helmet. It’s a bit pricey, but the weight savings and breath-ability can easily justify the price. I’ve heard that cycling helmets made with a similar construction can go for 2 to 3 times more! The best uses for this helmet would be alpine climbing and long multi-pitch trad climbing. I’d chose something longer lasting for sport climbing where a couple ounces more can buy you a lot more durability. If weight and long term comfort in warm weather are a priority the Black Diamond Vapor is a great pick! After teaching an anchor building clinic last week my guest started an email chain with me looking for some specific recommendations on improving his top-rope “kit”. After making a few suggestions I realized I get these questions a few times a year and there are probably others out wondering what an optimized top-rope kit looks like. So here I share what I think are the best of the best from ropes to carabiners, belay devices to harnesses and helmets, these are my “first picks”. I would recommend this 10.1 mm rope in the 60 meter length. With a higher ratio of sheath-to-core this rope will hold up to hard use for many years. It comes equipped with a middle mark, which is a feature I insist on for any of my ropes if it’s not a bi-pattern rope. Some might question the added expense of getting a dry treated rope for top-roping. In addition to not taking on 5 pounds of water when you get caught in the rain dry treatments also help resist dirt and friction which adds both life and smoother handling. I pretty much only shop “dry” ropes these days despite the added cost. Protect your investment in your climbing rope with the Cadillac of rope bags. This model has an integrated ground tarp and can compress the rope into a pack-able size when carrying a larger backpack to the crag. If you will be top-roping anywhere that anchors are located a bit far back from the cliff edge you will need a static rope for extending your master-point out of the edge. Examples where static rope is helpful, if not necessary; Square Ledge, Pawtuckaway, Stonehouse Pond, Otter Cliffs, etc. Tubular and flat webbing IS NOT a substitute for static line as they both have enough stretch in them that they will quickly fray where they run over the cliff edge during repeated climbing cycles. I recommend 2 in the 5.5 meter (18 foot) length. I use the Flat Overhand Bend as my joining knot on these instead of the more traditional Double Fisherman so that they are easy to untie for more anchoring options. Most often they are deployed in a Quad construction, around a large tree, or in a pre-equalized 3 piece gear anchor. I’d recommend two 120 cm nylon slings and one 60 cm sling. The longer slings are most often deployed around medium size tree anchors, used in a pre-equalized fashion on two bolts, or as part of a larger more complex gear anchor, and will have two dedicated carabiners (see section below). The 60 cm sling is most often used in a “sliding-X” configuration. The Petzl Grigri+ is a top-tier choice that comes with a bit of sticker shock. That said it is an incredibly well designed piece of gear. Check out my 1000+ word review of it here and decide for yourself! The new Black Diamond ATC Pilot is a much more affordable option that has a simple design and still includes a “brake enhancing” feature. My detailed review of that device is here. These two devices only accept one strand of rope so the classic Petzl Verso is carried for rappelling. Each of these will have a dedicated locking carabiner that works well with the device. I put more thought into what carabiners I use and where than most. There are some designs out there that make more sense in certain places of your rope safety system. I carry 4 Petzl Attache Locking Carabiners , one Black Diamond Mini Pearabiner Screwgate, and one Petzl William Ball-Lock Carabiner. For the master-point (where your climbing rope will be running). I use two dedicated Petzl Attache Locking Carabiners. Along with the red “unlocked” indicator these carabiners have a feature many people don’t realize. When used at the master point with gates reversed and opposed the grooves on the screw-gate are designed to lock into the ridges of the opposed carabiner when under even just a light load. This prevents them from vibrating into an unlocked state even during the longest top-rope session. Even curious hands (I take a lot of young kids climbing) wouldn’t be able to unlock these with the tension of the rope on the carabiners. These are “dedicated” to this purpose so they wear evenly and I’ll replace them once they show a few mm of wear. I also use one of the Petzl Attache Locking Carabiners for my Petzl Grigri+. Call me OCD but I like the Petzl/Petzl match up here. Likewise I match my Black Diamond ATC Pilot with a Black Diamond Mini Pearabiner Screwgate… it fits perfectly. For my Petzl Verso I use the Petzl William Ball-Lock Carabiner. The wider rope end of a larger pear shaped carabiner allows smoother and less “kinking” rappels. I also like the auto-locking mechanism of the “Ball-Lock”, a much more secure design than some “2-action” auto-locking carabiners. Yes, I recommend a helmet for top rope climbing (despite using some images in this post of helmet-less heads). I won’t say I wear mine 100% of the time, but I always have it with me. If I am climbing or belaying it is on. If I’m hanging around directly under climbers I have it on. The two models I endorse as excellent all around lids are the new Petzl Boreo (full review here) and the iconic Black Diamond Half Dome. As I mentioned to start these are my top-tier choices. You can definitely save a bit of money by sacrificing some of the features I like, from dry treatment to middle marks, “brake enhancing” to unlock indicators. These are simply what I think are some of the best options in this category currently being offered. Please comment below with your own recommendations, ask me to clarify any of my choices, or just say hello! In the coming months I hope to have a clearer picture of what you, my reader/follower, would like from Northeast Alpine Start. A recent Instagram poll revealed Tech Tips are more desired than Gear Reviews so I’m already working to add more skills to my growing list of Tech Tips. Feel free to comment or drop me a message on what you would like to see more of here! Northeast Alpine Start receives affiliate compensation from retailers that we link to if you make a purchase through them, at no additional cost to you. This helps to keep our content free and pays for our website hosting costs. Thank you for your support. The new Black Diamond ATC Pilot is an impressive addition to the growing number of “brake assisting” belay devices on the market. The lightweight Black Diamond ATC Pilot represents an advance in technology for the world of assisted braking devices. Providing an added level of security to your belay, the ATC Pilot threads similarly to other tubular belay devices and accommodates ropes from 8.7-10.5mm. The durable steel braking surface has no moving parts, and the smooth and secure control allows for gradual lowering. With an easy rope payout, the ATC Pilot makes single-pitch projecting burns less tiring for the belayer and more secure for the climber. Over the course of two months I carried the Black Diamond ATC Pilot Belay Device for almost two dozen days of climbing between Rumney Rocks and crags all over Mount Washington Valley along with a couple trips to the Salt Pump Climbing Gym. We used a Black Diamond RockLock Magnetron Carabiner (our favorite belay carabiner). More significantly I handed it to my clients and regular climbing partners every chance I could to get their opinions as well as determine really how intuitive this device would be in the hands of both longtime veteran climbers and first-day-ever climbers. Over the test period I had at least 10 different people belay me while lead climbing and top-roping, some as young as 10 years old! We found the Black Diamond ATC Pilot to be incredibly intuitive with a quick learning curve to become proficient in both lead and top-rope belaying. Experienced climbers felt that using it felt very similar to operating a regular Black Diamond ATC or Petzl Verso. Clear images on the device and a lack of moving parts helped even the newest, and youngest, of our testers properly install the device on the rope. Belaying on a top-rope system is quite simple with the Black Diamond ATC Pilot. Using the universal belay technique belayers had no problem removing slack from the system. When it came time to lower minimal coaching was required to have the belayer lower the climber. The biggest advantage during the lower is the lack of moving parts or levers make this device feel less likely to have an inexperienced belayer defeat the camming mechanism causing an uncontrolled fall and possible injury. Belaying a lead climber with the Black Diamond ATC Pilot is quite simple and we found that newer belayers could “keep up” with the lead climber’s progress easier than other brake-assisting devices on the market. With just slight upward pressure on the thumb lever (while keeping the brake hand around the brake strand) slack could be payed out as easily as any tube style belay device and at least one tester felt it could be payed out even smoother than a Petzl Gri Gri+ in experienced hands. In the event of a fall it is highly unlikely for a belayer to keep upward pressure on this lever and intuitive to slide the brake hand back down the strand for a secure catch. The amount of braking will vary based on rope diameter and age, along with the amount of friction already in the system (top-rope vs lead catch). We found skinny new single ropes like our Sterling Fushion Nano IX 9 mm would slowly slip in a top-rope system (but were easily locked off with proper brake hand position). The slightly thicker Black Diamond 9.4 mm used in the video below would hold fast. Regardless the device must not be treated as “auto-locking”. A brake hand is required 100% of the time. While the Black Diamond ATC Pilot is not designed for rappelling it can safely be used to descend a single strand rappel. Care must be taken as without gloves on your hand will come in contact with the carabiner which will create some heat on a long or fast rappel. We would likely still carry a traditional belay device like the Black Diamond ATC Belay Device if we were planning on doing a lot of rappelling. 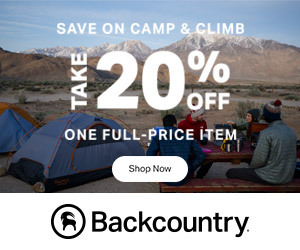 Backcountry <- currently 25% off and adding our favorite Black Diamond RockLock Magnetron Carabiner to go with it gets you to free two-day shipping! Special thanks to AJ at Mountain Life International and Jeremy Ray for their assistance in making the above video. Disclaimer: The author bought this item with his own money. All opinions are his own. Affiliate links above help create reviews at Northeast Alpine Start like this at no additional cost to you! Thanks for reading! Petzl is a well known industry leader in climbing gear and safety. When I first started climbing over 20 years ago I looked forward to each annual Petzl catalog for the wealth of technical information they would include, along with some of the most stunning and inspirational photos! I probably learned as much about climbing from these catalogs back in the day as I learned from that timeless classic Freedom of the Hills! Now Petzl has just launched a new series of downloadable “ACCESS BOOKS”, basically a collection of technical tips centered around one particular aspect of climbing. In their first PDF “booklet” Petzl focuses on indoor climbing. Petzl Access Books- Download your own copy here. As always the illustrations are clear and to the point. The techniques described are considered “best practices” throughout the industry. Whether you are a new climber or a salty veteran a little review of the basics never hurts! P.S. Speaking of Petzl here are some recent reviews I’ve posted of some of my favorite Petzl gear! 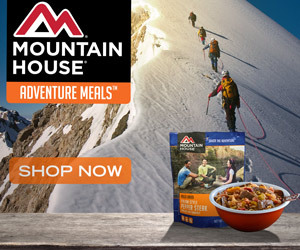 All links are affiliate links and making a purchase through one of them supports Northeast Alpine Start at no additional cost to you! Thank you! The leaves are starting to turn high in our notches so I find myself starting to anticipate another great ice climbing season in the Northeast. Last season I had the opportunity to demo the CAMP/Cassin X-Dream Ice Axes and while I shared my positive impressions of them with dozens of climbing partners I never got around to a full detailed review. With the ice climbing season quickly approaching what better time than now? There is more custom-ability in this model then any other ice axe I have ever used! Let’s start with my favorite feature of the Cassin X-Dream’s! By simply loosening one bolt you can pivot the handle into a “dry-tooling” setting appropriate for high level mixed climbing and competitions. This setting will align the handle/pick in a configuration quite similar to the Petzl Ergo Ice Axe. I don’t personally climb in competitions or send overhanging mixed sport routes in the winter so I only tested these in the “ice” setting which was the perfect angle for comfortable swings on steep grade 4 and grade 5 waterfall ice routes, and is quite similar to the alignment of the Petzl Nomic. If you’ve never demo’d a tool with a handle angled like this it’s hard to explain how much of a difference it makes on steep ice allowing your wrist to stay in a much more natural position and facilitating the relaxed grip that is so crucial on grade 4+ ice. Micro-adjustable trigger finger ledges can be adjusted in multiple ways. With a small phillips head screw driver you can swap the main trigger finger ledge from the included “X-finger small” with an “X-finger large, sold separately, $6”. My medium sized hands preferred the smaller less obtrusive setting. For those with very small hands you can snap in the X-Rest handle height insert (sold separately, $8) which raises the height of the handle interior by about 3 mm. The X-Trigger pommel (included) attaches to the shaft for an optional third ledge and can be slid up or down to your preferred spot. I liked mine just above the X-Grip 2 friction tape that is also included on the shaft. Finally the entire handle can be swapped out with the recently released X-Dream Alpine Grip, a feature that greatly improves security when topping out an ice route and switching back to piolet canne. Original X-Dream Grip (included) next to X-Dream Alpine Grip, sold separately $79.95 ea. There are three picks designed for the Cassin X-Dream Ice Axes and they come stock with the “Mixte” pick which I found worked as well as any ice pick I’ve used across the major manufacture brands. All three are T-rated which adds confidence when torquing or utilizing The Stein Pull. I plan on buying a set of the ice picks this season as I think the addition of the small hammer will add a nice touch of head weight and help this tool step even closer into the alpine environment (occasional testing of pitons, tool tapping to gently set a pick on thin ice, etc). UPDATE: Soon after posting this review CAMP USA let me know that they just released two more compatible accessories that further add to the versatility of this tool. A new “Total Dry” pick designed for over-hanging hooking and competition. This brings the pick options on this axe to four! Also, and more exciting in my opinion is the new available head weights. I will be trying these out with a new set of ice picks this winter! Cassin combines a T-rated aluminum shaft with a chromoly steel head that passes both CE and UIAA certification. Total weight is 1 lb 5 oz, 610 grams and the swing feels very natural and balanced. I did not find any need to adapt my swing to these like I have with some comparable models from other companies. With the included X-Grip friction tape and “third ledge” pommel I’ve found no need to supplement the rest of the shaft with after market grip tape. During placement the shaft dampens nicely without noticeable vibration and provides reliable feedback with each stick. With a high degree of customization and optimization for steep ice, mixed routes, and competition climbing this Italian made ice axe should become a common sight on the steep ice drips around the world. If you lead or follow grade 4 and up waterfall ice you should try to demo a pair of these! While outfitting them with the new X-Dream Alpine Grip puts them in the running for the most expensive set of tools when it comes to waterfall ice axes sometimes you get what you pay for. Thanks for reading! See you in the mountains! This product was provided for the purpose of review. All opinions are that of the author. Affiliate links support this blog.